When so many marriages are falling apart, you can pull yours together by encouraging each other through love, support and affirmation. Couples who bring out the best in each other build security and trust in their relationship. Your spouse needs things that only you can give. 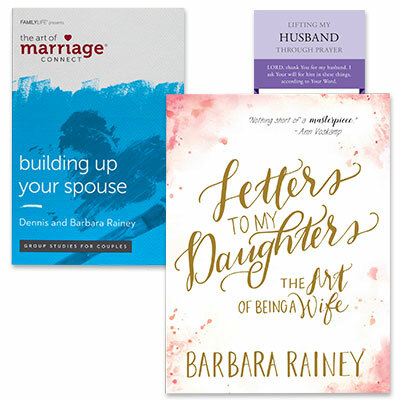 By learning what these are, and how to give them, you can bring fresh life into your marriage. Both of you will discover how to lift each other up and cheer each other on. This 7-week small-group study for couples will encourage you to put the past in a healthy perspective; give each other room to try, fail and try again; and be accepted and accepting. Discover the safety and happiness of a nourishing marriage through Building Up Your Spouse.